This entry was posted in My Blog, My Entries and tagged 1970s, Celebrate all veterans, Honoring Veterans, Remember Our Veterans, Robert A. Dorchester, SD Naval Training Center, US Navy, USN, Veterans Day USA, Veterans Rock, Vietnam Veteran. Bookmark the permalink. I didn’t realises Americans celebrate this today, same as the UK. Brave men. Angie, thanks for your comment. It would be interesting to read about Veterans Day in other countries. There are brave men and women (now) all over the world. Yes, of course. The symbol of rememberance here is the red poppy. Great post, Christine. Thank you for being part of our nation’s ‘honor guard’. We must always remember what they gave. Thanks Sammy D for echoing my words! I appreciate your comment! We owe them a great debt of gratitude. 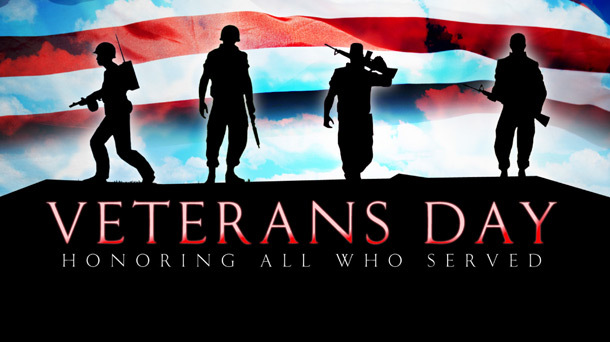 Thanks for helping to honor our veterans today. Wow. I’m overwhelmed by the numbers. I knew there were many, but the breakdown hurts.